Testimonials | Eat Meat. Drink Water. The individuals listed below have graciously shared the beginning of their Zero Carb journeys. They length of time they have been following an meat-based diet varies from 30 days to 1 year. Please click on their names to read their stories. Pingback: My First 3 Months on Zero Carb by Tricia Weber | Eat Meat. Drink Water. Pingback: My First 30 Days on Zero Carb by Sarah Muma | Eat Meat. Drink Water. Pingback: My Zero Carb Experience with Lyme Disease by Alison Lyons | Eat Meat. Drink Water. Pingback: My First 45 Days on Zero Carb by Lynn Marie Miller | Eat Meat. Drink Water. Pingback: My First Three Months on Zero Carb By Michael Brown | Eat Meat. Drink Water. Pingback: My First Three Months on Zero Carb by Adam Valls | Eat Meat. Drink Water. Pingback: My First 30 Days on Zero Carb by Candi Leftwich | Eat Meat. Drink Water. Pingback: My First Two Months on Zero Carb by Sura | Eat Meat. Drink Water. Pingback: My First 30 Days on Zero Carb by Karen Kelbell | Eat Meat. Drink Water. Pingback: My First Two Months on Zero Carb by Anastasia Neucoon | Eat Meat. Drink Water. Pingback: My First 30 days on Zero Carb by Kim Knoch | Eat Meat. Drink Water. Pingback: My First 30 Days on Zero Carb by Lena Kristiansen | Eat Meat. Drink Water. Pingback: My First 3 Months on Zero Carb by Don Ewart | Eat Meat. Drink Water. This is my eighth day on Zero Carb and let me tell you it has been hellish. But I have gone down from 174 lbs to 165 lbs. Am still feeling quite weak and have had one poop since the last one, my two week mark will be up on the 25th. I am having terrible cravings for any and all food, except meat…heh heh. Try shellfish..shrip, crab in butter..etec. My body was starving for nutrition when i started zc…no waste to poop out…but i did after a week. I use lots of butter…and keep away from cheese…it will happen….oh at 1st i took some magnesium…just a couple of times…. You will adjust….your body may be just frantically holding onto the rich nutrition you are giving it! Try frying hamburger meat with several slices of bacon cut into small pieces and then stir in some eggs and butter..
Pingback: My First 3 Months on Zero Carb by Isabel | Eat Meat. Drink Water. Pingback: Healing Brain Cancer with a Zero Carb Ketogenic Diet by Andrew Scarborough | Eat Meat. Drink Water. There are three Type 1 diabetic doctors that I know of who eat a very low carb high fat diet: Dr. Richard Bernstein, Dr. Troy Stapleton, and Dr. Keith Runyun. I believe there are a few Type 1 diabetics on our Facebook group Principia Carnivora who are trying a Zero Carb diet, but you would need to join the group and ask them questions there. Pingback: My First 5 Weeks on Zero Carb by Teresa Dutton | Eat Meat. Drink Water. Pingback: My First 2 Months on Zero Carb by Anne Engel | Eat Meat. Drink Water. Pingback: My First Two Months on Zero Carb by Lesha-May Thomas | Eat Meat. Drink Water. Has anyone had fibermyglgia and this diet help? Yes, see the Interview with Liz Spencer by clicking on the “Interviews” link at the top of the page. There are actually quite a few men. There are some under interviews as well. What about body acidity? 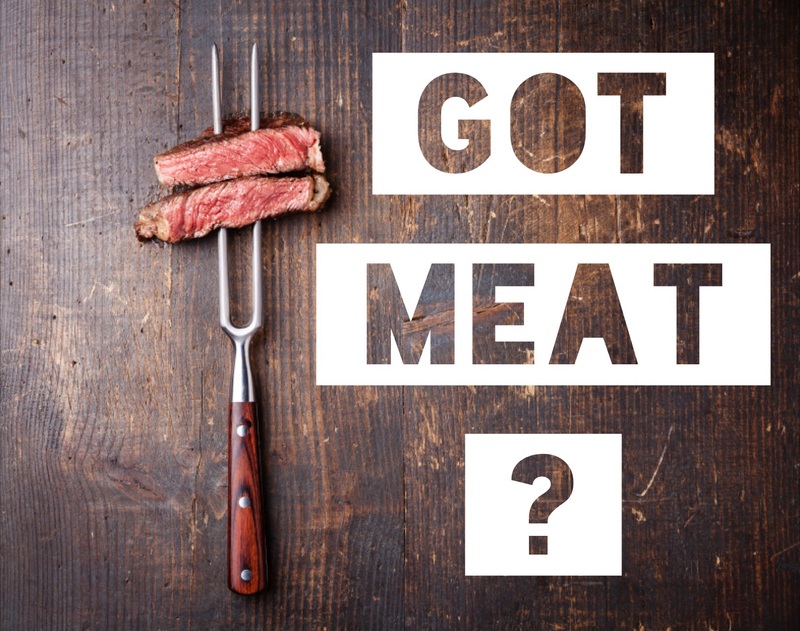 Doesn’t meat make the body very acidic? Do you do anything to counter this, and make the body more alkaline? I drink ACV daily, which helps, but green leafy veggies also help. And how do you get your body all the nutrients it needs without veggies? I’m just having a hard time wrapping my head around 0 carb. I currently only get carbs from green leafy veggies and avocado. I’m working on building up my body and brain (not weight loss – i started at 102lbs and am currently at 125lbs thanks to keto) and am wondering how I’d get appropriate nutrients and electrolytes without my veggies. Please read through the interviews on my blog. The link is posted at the top. Please do a google search for The Acid-Alkaline Myth by Chris Kesser. It is a two part article. Are there any success stories with Psoriasis and this diet? Yes, read the testimonials and interviews posted. This website is not a forum. If you would like to ask questions, please join us in our Facebook group Principia Carnivora.